Click here to read an introduction to Warwick Square from Colin Sheaf, both a resident and Honorary Chairman of the Warwick Square Company. The carpenter who helped to build Pimlico. A fascinating history. 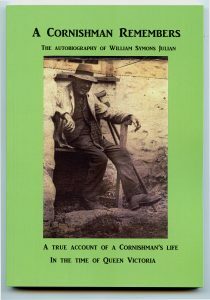 History seldom tells us about ordinary people and it was fascinating to read the autobiography of William Symons Julian, a Cornish farm boy who learned a carpenter’s trade and came to London in the 1860s and helped to build Pimlico. William’s memoir was discovered in an attic by his descendants… read more. What is this rare historic object? 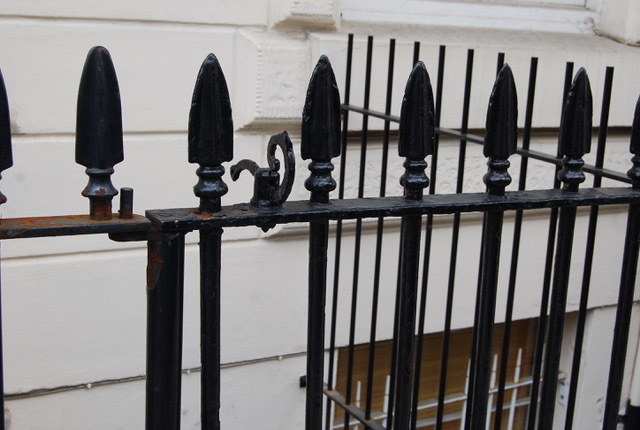 What is this rare historic object adorning railings outside a house in Pimlico? Click here to find out. Had a great meal at the new Lorne restaurant in Wilton Road. The roast cod in an intriguing piquant sauce was the best I’ve ever tasted and my wife’s choice of the hogget was superb. See the review in the Sunday Times magazine of June 16. Katie Exton, who opened the restaurant with head chef Peter Hall, is keen to welcome locals and offers residents of Warwick Square a 10 per cent discount. Just take along some document that shows you live here. Visit www.lornerestaurant.co.uk or call 020 3327 0210. Join ‘The Thorney Island Society’! The Warwick Square Garden is in bloom! 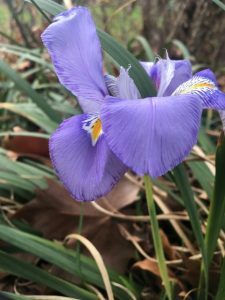 If you were away over Christmas I hope these photos will entice you to take a walk around the Square and enjoy some of the glories of the garden. To counter the myth that nothing grows in gardens in winter I’ve planted many plants and shrubs that flower during the winter months especially those with highly scented flowers. These flowers tend to be rather insignificant to protect themselves against the elements but to attract the few insects around at this time of year they have strong scents. It’s possible to catch a waft of the most gloriously exotic scent and not actually see any flowers. Blooming brilliant garden team win gold and silver – again! 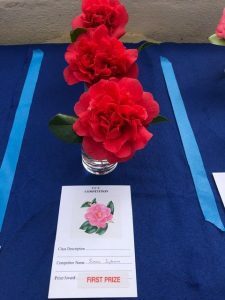 Every year, two specialist English gardening organisations make awards for outstanding gardens, parks and community green areas within Greater London. 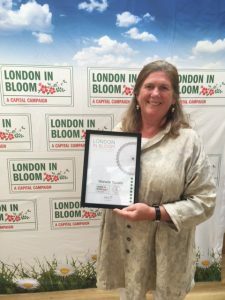 We only began to compete a couple of years ago, and to our delight in 2015 we won Silver for the ‘Large Private Square category’ in the London Squares Garden Competition, and Gold for ‘Small Park of the Year’ awarded by London in Bloom. 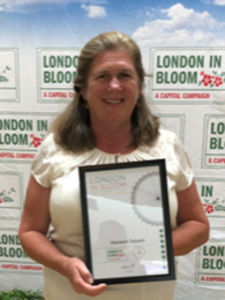 I’m delighted to be able to tell you that our head gardener Sarah Syborn (pictured in the attached image receiving her award) and her three colleagues Mandy, Craig and Mick have excelled themselves even further this year, by retaining their Gold award (just announced) for London in Bloom, and raising the level of their award to Silver-Gilt in the London Squares Garden Competition. There are hundreds of applicants for these awards, so it is a major achievement to win either of the top ones once, much less twice over two years. Please join the Company Board and me in congratulating our gardening team, preferably when you meet them in the garden! It is very encouraging that a small focused team like them, working with an entirely voluntary group of Board directors and Garden Committee members, can maintain the classic features of an historic, listed Grade 2 Victorian garden; while simultaneously adapting it into a Gold-medal winning garden, particularly admired by the judges for its deliberately environmentally-friendly aspects in a 21st-century context.